A hundred years ago on April 10, 1917, Mohandas K Gandhi arrived in the district of Champaran in North Bihar. He spent several months there, studying the problems of the peasantry, who had been forced by European planters to cultivate indigo against their will. Farmers who refused to meet this obligation had their land confiscated. Through his interventions with the colonial State, Gandhi was able to get substantial concessions for the peasantry. Rents were radically reduced, and the compulsion to grow indigo replaced by a system of voluntary compliance. This was a major victory for the peasants, and a significant triumph for Gandhi himself, since it established his credibility as a leader within India (as distinct from South Africa). Rather than rehearse the facts of the struggle in Champaran, this column identifies six distinctive features of Gandhi’s extended stay in the region, and how it determined his future course of work in India. This was Gandhi’s first direct experience of peasant life in his homeland. Gandhi had grown up in the towns of Porbandar and Rajkot, and worked as a lawyer in the great metropolis of Bombay. Then he spent two decades in South Africa. After his return to India in 1915, Gandhi travelled extensively through the country, but, before coming to Champaran, had interacted mostly with townspeople. In Champaran, Gandhi based himself alternately in the district’s two main towns, Motihari and Bettiah, meeting a stream of visitors from morning to evening. Some days he ventured into the villages himself. He met many peasants, but also spoke to European planters and factory managers. Everywhere, he was followed by policemen in civilian clothing who took notes of what he said at the meetings. As was his wont, Gandhi worked ferociously hard. By the end of May, he had spent six weeks in the district and collected almost seven thousand first-hand testimonies, each one deepening his understanding of how the kisans of Champaran lived and laboured. It was in Champaran that Gandhi made his first proper acquaintance with peasant life in India. Secondly, it was in Champaran that Gandhi began building the network of colleagues who would assist him in later years. A week after he arrived, Gandhi wrote to his old comrade, Henry Polak: “I am recalling the best days of South Africa... The people are rendering all assistance. We shall soon find out Naidoos and Sorabjis and Imams. I don’t know that we shall stumble upon a Cachalia” (these being his close associates in South Africa). In Champaran, Gandhi renewed his acquaintance with a lanky scholar from Sind named JB Kripalani. The two had first met in Santiniketan in 1915. In April 1917, Kripalani was teaching history at a local, government-run college. Kripalani met Gandhi at Muzaffarpur station on his arrival and brought him home in a carriage hauled by enthusiastic students. Kripalani was at Gandhi’s side in Champaran, as were a group of lawyers from Patna. They included Brajkishore Prasad, whose interest in Champaran was of long standing, and Rajendra Prasad, a scholar educated in Calcutta and a rising star at the Bar. 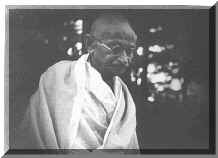 All remained devoted to Gandhi for many years thereafter. Fourth, his exertions in Champaran earned Gandhi enhanced credibility within Gujarat itself. The historian, David Hardiman, writes that “before 1917, Gujarat had a reputation in nationalist circles for being a torpid backwater of ideological conservatism”. The Gujarat Sabha was dominated by moderate lawyers, loyalist and status quoist, some of whom thought Gandhi a “misguided religious crank”. Their attitude to him changed dramatically when Gandhi refused to obey the order to leave Champaran that the colonial authorities had issued him when he entered the district. When the news that Gandhi had challenged this order reached Ahmedabad, “the legal fraternity at the Gujarat Club leapt to their feet,” and decided to have this “brave man” as the next president of their Sabha. A prominent member of the Gujarat Club in 1917 was a London-returned barrister named Vallabhbhai Patel. Indeed, Patel was playing bridge at the Club when he came to hear of Gandhi’s challenge in Champaran. Soon, he left his lucrative practice to join Gandhi. Two other Gujarati lawyers, Mahadev Desai and Narhari Parikh, also joined Gandhi in the second half of 1917. Both, like Patel, became indispensable to the furthering of the Mahatma’s programme for national and societal renewal. Fifth, his stay in Champaran allowed Gandhi, for the first time, to engage in a sustained manner with the bureaucracy of the British raj. He had, of course, had regular and often difficult encounters with white officials and politicians in South Africa. Now he had them in India as well, with regular meetings (not all pleasant) with district magistrates, commissioner, and the lieutenant-governor of Bihar. In the second week of June 1917, confronted by the peasant testimonies Gandhi placed before them, the Bihar government appointed a Champaran Agrarian Enquiry Committee. It had seven members, including four ICS men as well as Gandhi. The chairman was an official from the Central Provinces. Through these committee meetings, Gandhi deepened his knowledge of the colonial State, of which he had, in 1917, an extremely imperfect understanding. (He was born and raised in princely India, and had spent much of his adult life overseas). Finally, his work in Champaran gave Gandhi the confidence that he could capture the minds and hearts of a wide cross-section of Indian society: peasants, lawyers, traders, and more. I have already spoken of how the kisans began to trust Gandhi so soon after his arrival. Months later, on October 3, 1917, the Champaran Agrarian Enquiry Committee submitted its report - largely favourable to the peasants. Gandhi now proceeded to Motihari for a week, and then to Bettiah, where he was to spend two days before returning home to Ahmedabad. "No sooner the train stopped than people began to shout 'Gandhiji ki jai', 'Gandhi Maharaj ki jai'. There were bajas (bands) and flags at the station and all men from neighbouring and distant villages including schoolboys and mukhtiars [pleaders] were present. They showered flowers on Mr. Gandhi and garlanded him. There was a red cloth spread at the platform for Mr. Gandhi. Surajmal Marwari of Bettiah had brought his phaeton and a horse of Puran Babu Raj, an engineer, was harnessed. It is not understood how Puran Babu lent his horse and why the railway servants allowed so much rush and show at the station." The peasants of Champaran owed Gandhi much, but he owed them even more. It was through working for them that he began to understand the difficulties of agrarian life in India, that he met his first steady and reliable political comrades, that he acquired the confidence that he could represent those who were not from his own caste, community, class, or region. Those weeks and months in North Bihar in the spring and summer of 1917 prepared Gandhi for the longer and more difficult battles ahead. Champaran was not just Gandhi’s first political experience in India; it was also absolutely formative to Gandhi’s political career and hence to the freedom struggle itself. Champaran was the crucial first step in the road to Non-cooperation, the Salt March, Civil Disobedience, Quit India, and the eventual liberation of the country from foreign rule.